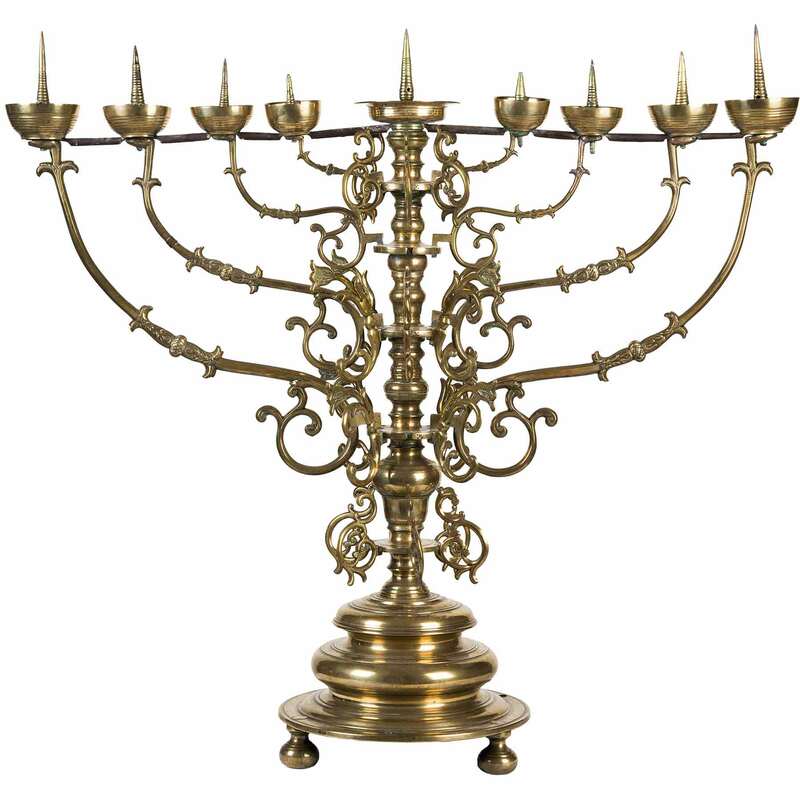 This monumental Hanukkah lamp was created for synagogue use, modeled after a biblical menorah of pure gold. It was used at the White House Hanukkah celebration in 2003. 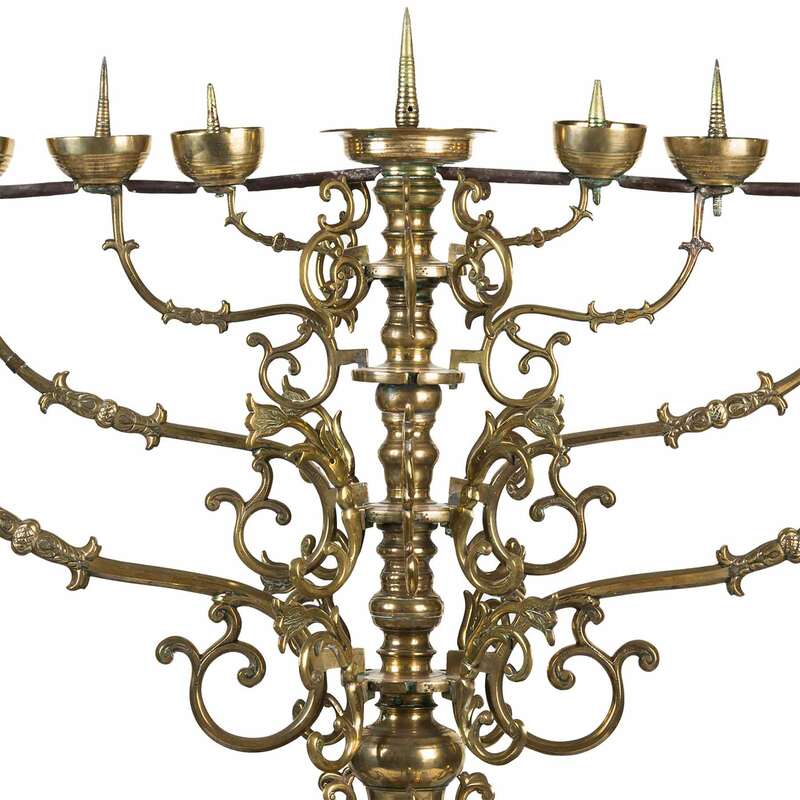 This nine-branched Hanukkah lamp is similar in form to the seven-branched menorah of the Tabernacle in the desert, and later of the Temple in Jerusalem. The ancient menorah is described in the biblical Book of Exodus (25:31-40) as a lampstand of pure gold, with a base, central shaft, and three branches radiating from each side, each containing an ornamental knob and flower and terminating in a cup shaped like an almond blossom. At an unknown time a tradition developed in Ashkenaz of placing a large Hanukkah lamp modeled after the ancient menorah at the front of the synagogue. 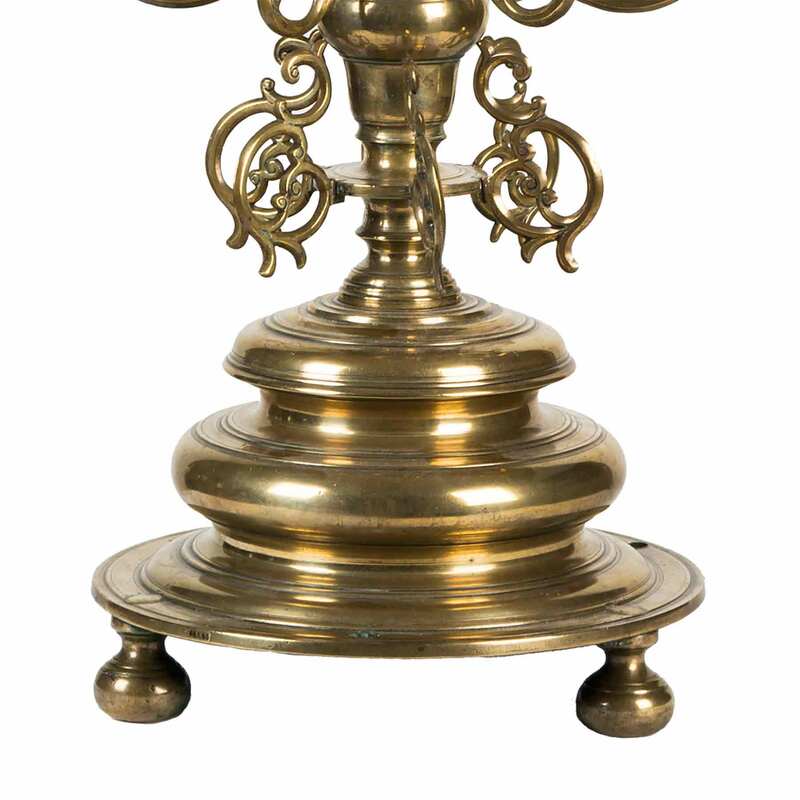 This lamp belongs to a special group that uses prickets to hold the candles rather than candle sockets. Other examples of this type are known to have been used in Germany and Bohemia. 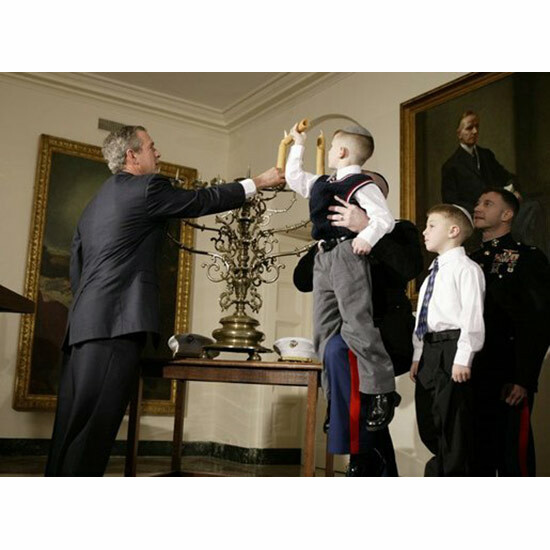 President George W. Bush helps Jacob Murphy light the menorah along with Jacob's father, Captain Neil Murphy Jr.
December 22, 2003 at the White House. Photo by Paul Morse.